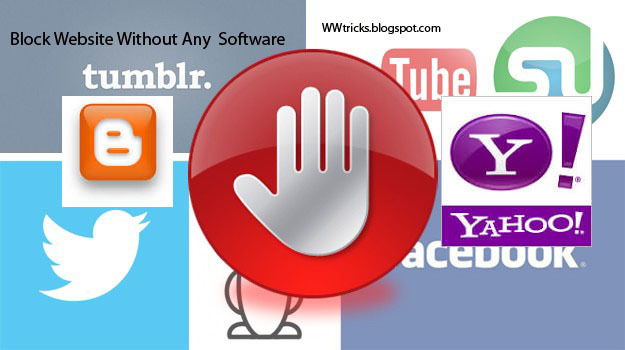 This tutorials is written to block a website on pc without using any software. Sometimes you just want to block a website on your pc so what you to do? There may be a software to block a website on your computer but here we are going to block a website on pc without using any software. This tutorial can help you a lot in time when you want a website to be un-accessable on your computer,Its whether your friend is on your computer you want to block a website for him or you, a father and you don't like some websites that to access Your children. Anyway You just wanna block website on your computer, Then follow the below steps so you will be able to do so. STEP-1: First of all go on this path C->Windows->system32->and then go to drivers->etc. 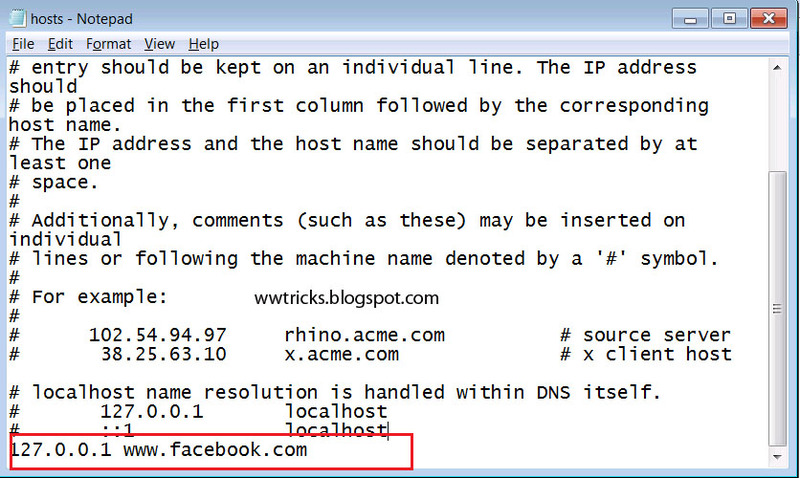 STEP-2: After going on this path you will see a file named "hosts". So edit the hosts file with notepad. as shown in the below image. 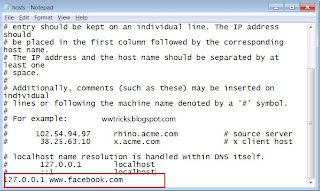 STEP-5: You can change the www.facebook.com with website you want to block on your pc. After adding website Click on 'SAVE' from the 'File' so the file 'hosts' is now edited and saved. Now you blocked the website on your pc that you entered with the few easy steps. It's a good tricks, I think.